To maintain and build membership, your organization must keep a consistent focus on engagement. But why is it so important and how do you know your hard work is paying off? Attend meetings, purchase additional offerings, continuing education, etc. Your current members are your best new member recruitment squad. When members are engaged, they want the organization to grow. And when current members recruit new members, it lends additional credibility to your organization. When everyone understands the importance of engagement, the entire staff, board and other members can set about communicating with them and increasing their involvement. Start by finding which of your members is the most engaged and use their behaviors as a benchmark. 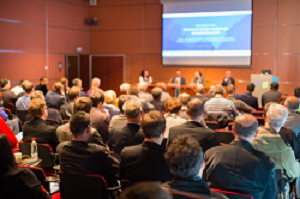 Members attend at least one in-person event per year – conference, trade show, professional development, etc. Members attend at least one off-site event per year – conference calls, webinars, etc. Associations with the highest renewal rates (80 percent or higher) report that more than half of their members attended an in-person meeting and/or maintained organizational certification, according to a 2012 MGI benchmarking report. Another key measurement is if members vote in your elections. “By voting, the member has said, ‘Yes, the development of this organization is important to me,’” said Alyse Kittner of AONE in the most recent issue of FORUM magazine. WHAT are the key takeaways they want as part of our organization? If you don’t know, ask! Then interact with them and always be striving to increase their level of engagement so they automatically renew their membership and become natural advocates for your organization. For more information on how to compile member election data and use elections to engage members, just ask! How does your organization know its members are engaged? Let us know in the comments below.